Have you heard the news, yep we are getting chickens! Chickens, chickens, CHICKENS! Can you detect my excitement? I have been dreaming of raising chickens for a while, and now that we are settled we can finally commit to them. You might remember during the first weeks of moving to Montclair we found ourselves chicken sitting for friends of our new neighbour Nina. It was then that I was reminded of just how great chickens can be as pets for children. As a child I had a pet bantam named Wilhelmina, who had two chicks I named Juliette and Julian. I have always felt I would like the girls to have a pet, and there has been some talk of a dog, but the idea of having to buy meat products for a dog did not sit well with me. Being that we are vegetarians this led to the visualisation of a pet food abattoir, and that is really unappealing, (yes, I have thought it through thoroughly) and because so I have not reached a place I feel I can commit to a dog…despite my loving Boarder Collies. Anyway, adorable puppy aside, chickens seemed like the perfect fit for us. We give them our compost scrapes, so that is an environmental win, and they give us fresh eggs, another win! We get to name them and care for them, and if you are up to date on current chicken trends, it is not unusual to see a chicken sitting happily on a lap getting a pat. Did you know that you can buy chicken diapers made of fabric to avoid any poop disasters! Funny right? Urban, and suburban chickens have been hot for a few years now, and it is not surprising considering the ghastly conditions average supermarket hens eggs come from. I am going to avoid touching too deeply on this topic as it is loaded and I am passionate about it and I feel like most of you reading my blog buy free range organic eggs anyway…I mean who able to sit at a computer reading blogs, with a conscious, would by any other type of egg to save $3? Bad chicken farms are old news now, but the articles are still coming about the plight of the chicken and the quality of the egg. Most recently I read this article in the New York Times, which I found interesting, honest and very grounding, and even though I thought I was doing right by being a proactive consumer, I realised we could do more…so my friends we are getting chickens! Thus begins the joy of shopping for a coop. I would love to say that we were going to build our own chicken coop, but as we are still in a lot of ways getting on our feet in America – and we do not own any woodworking tools. I also did not want Cam to feel he had to build our coop next week…(did I mention I was excited?) 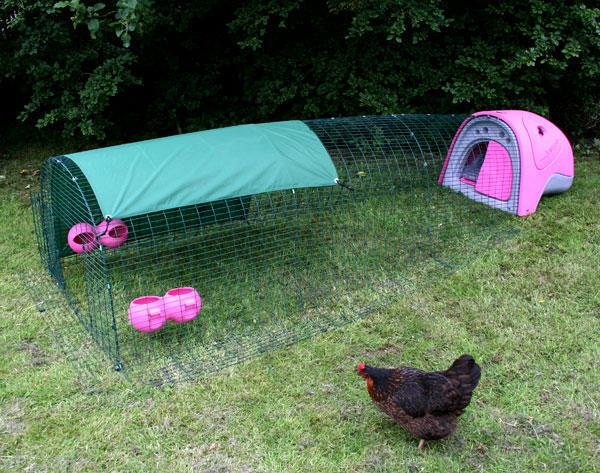 and so we decided with our combined Birthday money from my Mother we would buy a ready made coop. Mum was so happy to hear this is what we decided on. My Mother is a devoted animal lover and has dedicated much of her life to animals and can not stand animal cruelty. For example, just recently Mum paid $500 for a retired dairy cow to save it going to slaughter (yep! it was bound for dog food!). Mum felt that after a lifetime of being a milk slave the cow deserved to live out her remaining years eating grass in a paddock, so she paid the farmer the predicted meat value to let it live. 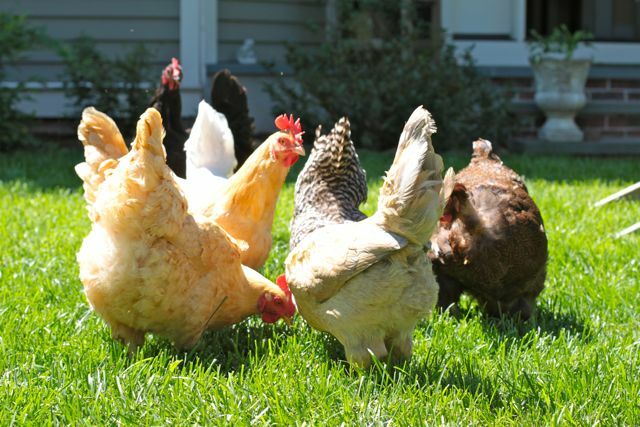 Mum is an advocate of raising backyard chickens to help reduce the number of chicken farms. With Mum’s character in mind, it seemed right that we would use money from her for chickens. We are so grateful to her for generously gifting us with (enough!) money to make this possible. I have very much enjoyed looking at all the coops available, even Williams Sonoma are selling chicken coops now! There are a lot of options out there from do it yourself coop plans to top of the line luxury coops. Some adorable, some laughable, but all coming from a good place, to liberate the chicken. Just so you can really get the scope about what is happening out there I chose four that caught my eye for various reason….the practical Eglu, the sleek and clever Nog, and one that really made me laugh, the Co-Op Coop. 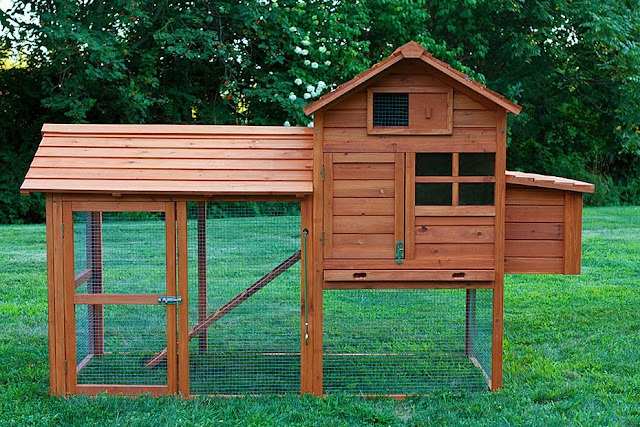 Then lastly the one that I think we have decided on, the Clubhouse Coop. 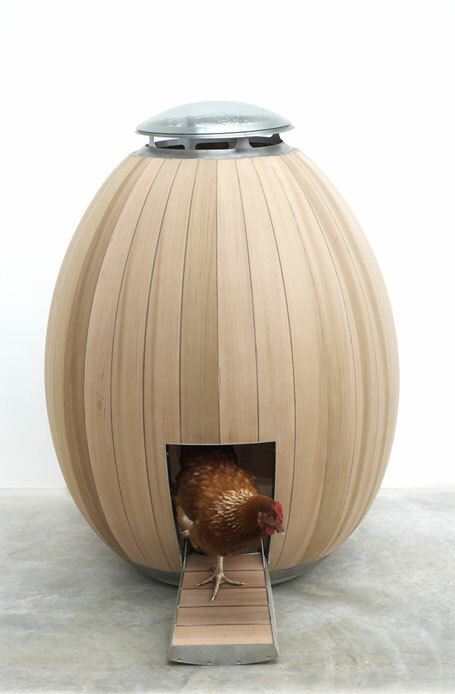 It is no secret that chickens can live, and lay eggs daily in almost anything. Another article I read interviewed a farmer from Ohio state (where most of America’s eggs come from) who is proud of his state-of-the art facilities, where four million birds produce more than three million eggs a day. In just one typical barn there is 268,000 small white hens that live in cages about the size of an open newspaper, six or seven hens to a cage. There is no space to move, to spread their wings or roost. These chickens do not get to nest, peck for bugs or take dust baths. This farm supplies the standard American supermarket chains – and restaurant food chains with eggs. A bit sad right? So in a bid to hopefully bring more joy to our life, chickens are to become our pets, and increasing both quality of the chickens life, and the quality of ours. Looking forward to sharing our chickens journey with you friends, maybe you will want to do this too? This entry was posted in G A R D E N and tagged chickens. How fun! We know lots of people down here who keep chickens and it is something that we have talked about doing too, it would be so fun for the kids. They loooove taking care of the chickens on my aunt’s farm. Jasper’s class will be hatching eggs this spring and we were thinking of raising some of those chicks, we’ll see. Looking forward to watching your journey with your chickens! I thought you too may have chickens in mind…it feels like the right way to go if you can! We are ordering chicks, that arrive a day old. We then keep them under a heat lamp until they are big enough to go in their coop outside. The Girls will be so excited when they arrive. We will be getting 4, but surprisingly there is a long wait to get the chicks…we have chosen one each or different breed, but all cold hearty good layers/pet friendly. I have grand plans for when we get the appropriate rental, to make a chicken coop similar in design to your last picture, but completely out of recycled materials … including second-hand windows and leadlight! …..
My kids love going to poultry shows to check out all of the breeds of chickens … quite interesting! Please be forewarned that the chicks that hatch at Day Cares & Pre Schools are NOT what is referred to as ‘sexed’ chicks, like they would if you purchased day old Pullet chicks. The ration of rooster to chicks to pullets chicks can be as high as 2 roosters to 1 pullet. I know of heaps of families that have ended up with 3 roosters & 1 pullet from the Day Care/Pre School hatching Program. I have ended up with 5 roosters from this program. I don’t like the program at all. It is so cruel to the chicks, who end up with families that have not done any research, don’t know what they are doing or what they are getting in to. So many of the chicks die within a couple of months from their poor care as well as handling abuse from children. I am involved in trying to getting the program removed from schools. The program as it is so wrong in it’s present format. Kirsten did you check whether the chicks are being debeaked? Mum, I have not ordered the chickens yet, but will ask – I would be very surprised if they do considering everything they say on the website. Zoe, I too was visualising a hand made chicken coop using old windows. We have some in the garage I wanted to use…but I felt like it was never going to happen. I do plan on sprucing the coop with flower boxes and maybe some paint in a few years when the wood gets weathered. I remember as a child walking through the hen poultry pavillon at the show…so very interesting! How are you by the way?